We're opening the doors at 10:00 am and will have 15 beers on tap including a couple of breakfast inspired styles like Breakfast on Endor, a maple-bacon brown ale and our famous coffee stout, Judge Roy Bean. We will also feature Cold Brew Coffee on draft from our friends at Fairhope Roasting Company and "beer cocktail" mixing options including downtown Fairhope's R Bistro & Pastry's legendary Bloody Mary Mix. 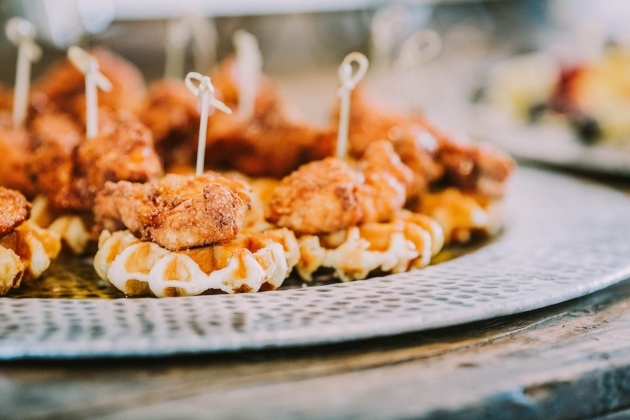 The Kraken Catering Co. has put together a great menu including southern favorites chicken and waffles and a scrumptious crabmeat omelette. Live big-band style music by Swing and a pretty good looking weather forecast is sure to make this Saturday morning one to remember at the brewery.